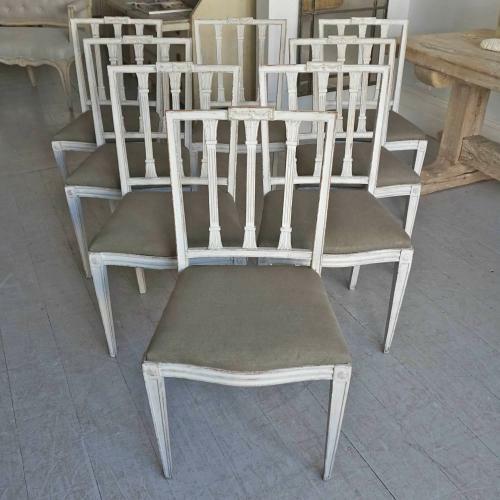 A charming set of eight richly carved early 20th century Gustavian style stick back chairs. The seat pads can be upholstered in a fabric of your choice. Swedish circa 1910.